Julian Barnes' Man Booker Prize-shortlisted novel is based on Arthur Conan Doyle's extraordinary real-life fight for justice. 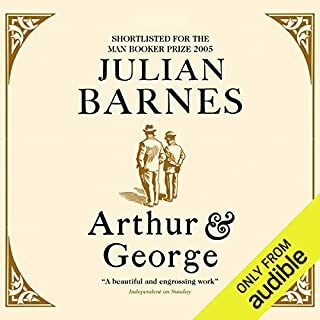 Arthur and George grow up worlds and miles apart in late nineteenth-century Britain: Arthur in shabby-genteel Edinburgh; George in the vicarage of a small Staffordshire village. Arthur becomes a doctor, and then a writer; George a solicitor in Birmingham. Arthur is to become one of the most famous men of his age; George remains in hardworking obscurity. On the Origins of "Genocide" and "Crimes Against Humanity"
Julian Barnes' short novel is enriching in the aesthetics of art and music and edifying in a look at how one of history's greatest composers might have dealt with Stalin's sinister oppression and created exceptional compositions despite living in constant fear that death might be the next knock on the door. The re-imagining of Shostakovich's life under Stalin reverberates in the ironies of humanity. We esteem courage and justice, but we also want to live. Had Shostakovich spoken out against Stalin's purges and quashing of true art, he would most certainly have been killed immediately, and the world would have been deprived of brilliant works of music. And, would his speaking out have changed anything? Or, should Shostakovich be plagued by his failure in this regard in spite of the haunting reminders he has provided history, well beyond his natural death, of the evils of communism and of Stalin and other "leaders" like him. "Art is the whisper of history heard above the noise of time," notes the narrator of THE NOISE OF TIME. Anyone familiar with Shostakovich's Symphony No. 5 knows that certain "whispers" roar. These are the ironies Barnes explores in his inspired new work. Art belongs to everybody and nobody. A soul could be destroyed in one of three ways: by what others did to you; by what others made you do to yourself; and by what you voluntarily did to yourself. Any single method was sufficient; though if all three were present, the outcome was irresistible." The last Julian Barnes I read was 'The Sense of an Ending' which seemed to float perfectly as a short novel. The prose was as delicate, smooth and perfect as rosette frosting. I'm not sure Nabokov would want to follow that novel, but eventually Barnes was bound to write his next novel, comparisons be damned. 'The Noise of Time' is a short 200 page novel about the life and times of Dmitri Shostakovich, one of the great composers of the 20th century. This is not exactly new ground. 11 years ago William T. Vollmann also used the life of Shostakovich to explore the nature of evil, power, etc. Vollmann used Shostakovich as one of several voices to tell his stories. In some ways, Europe Central explores WWII as a symphony and the life of Shostakovich happens to just be one of the major instruments. 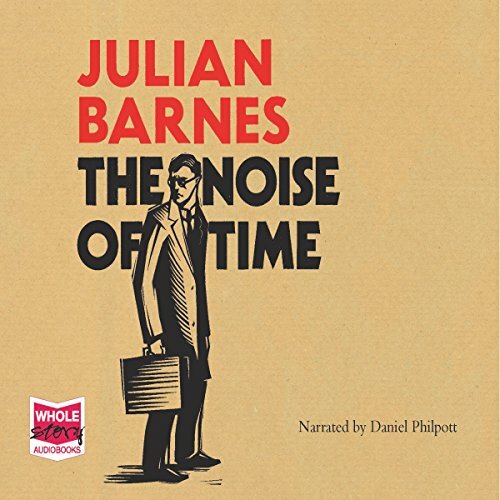 In 'The Noise of Time' Barnes explores art and music using Shostakovich as a single instrument. Barnes uses the relationship between Shostakovich and Stalin (later the Soviet state) to delve into how power and fear can externally affect the artist. But he goes further and looks at how man can affect his own art in relationship to the outside world. He looks at how irony is used as a defense against external forces that would control and destroy. Anyway, this month I've been a bit obsessed with Shostakovich. After reading two fictionalized accounts his life, I've also been sucked down the Russian rabbit hole of his Symphonies (primarily the 5th, 7th, and 1oth). These three symphonies play a significant role in both books, so I'm glad to have been reminded several times this year that I should listen to more post-romantics than just Gustav Mahler. Thank you Julian Barnes and William T. Vollmann to push me into the small, shaking hands of Dmitri Dmitriyevich Shostakovich. Resonance with what is starting to happen in America now. Immigrants and Muslims feel it now, and who will be next? No wasted words in this short book. It is beautifully written and the performance is excellent. This is creative nonfiction at its best. The slow destruction of people is so sad. Tight, wonderfully crafted story of life under Stalin and Kruschev. Love the clarity of Barnes' language and his characters. 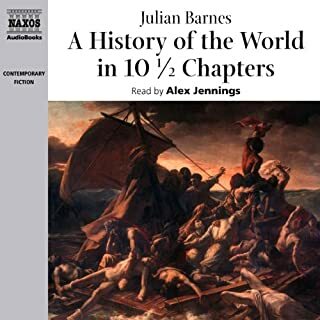 Where does The Noise of Time rank among all the audiobooks you’ve listened to so far? What was one of the most memorable moments of The Noise of Time? 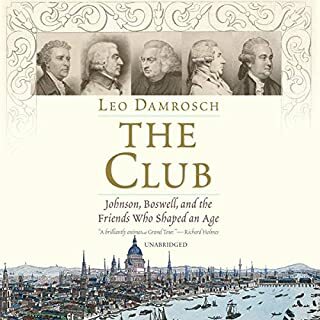 A fascinating book brilliantly read by Daniel Philpott. Just a slight feeling that the rant against Communism is so remorseless that one ends up by thinking it must have had some good features. The portrait of the central protagonist is totally convincing but was it Shostakovich? Who knows? A novel about the Russian composer Shostakovich, Julian Barnes has given us a stylistic masterpiece. Barnes is one of the best contemporary literary writers we have. This is is a majestic, interesting story, intelligent and compelling. One of my favorite reads of the year 2016. What happened to Barnes's story telling abilities? Huge fan of his previous works, but not this. Meandering disjointed storyline. Had to make myself finish this one. Interesting history of the time in Russia but too much internal dialogue. I would have preferred to read an actual biography. As a huge Shostakovich fan, it was very interesting to liste to this docu-fiction about an amazing life. Highly recommended. For anybody enjoying this composer's music, it will shed some light on some obscure slices of life. For those who don't know him, it still sheds some light about a time period of History hard to believe was actually true for many citizens in the USSR. A very interesting slant on Shostocovich and his life. It also gives an insight into the way the Soviet Union treated its artists . 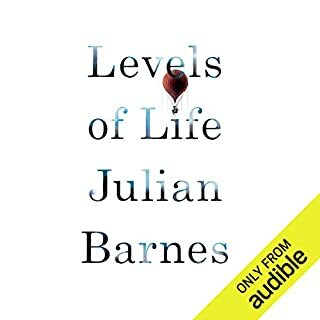 It is more a biography than a story but Julian Barnes writes so well that the people he describes come alive. Any personal consideration of this novel is driven initially by a comparison to David Pownall’s 'Master Class' which I saw in around 1983 at the Theatre Royal Newcastle. The pairing of Shostakovich and Stalin was, in that instance complemented with the appearance on stage of Zhdanov and Prokofiev. I remember thinking that the get-together was a fantastic pretense and a wonderful construct on which questions of artistic intention and integrity were played out with lots of laughs, some real reflection and great skill on the part of Trevor Cooper. In Julian Barnes’ novel the focus is entirely personal, built around a series of historic events rather than a single pivot. Its a more natural choice for a novel, of course, and these days its great to be able to quickly interrogate the British Pathé archive viewing the arrival of Shostakovich in New York as described and do the background checks on Nicolas Nabokov and the CIA. Entirely satisfying? Not really. Unlike The Sense Of An Ending there is no sense of an edge in that, where historical facts are blended into the narrative, there is no clear cut between that inventive narrative fiction and documentary. That impacted my reading of the latest effort from a great contemporary novelist - not to say that the novel represents beautiful clear writing stopping off at all of the important emotional and intellectual points along the way to enjoy the view. A struggle between 4 and 5 star stuff although I am sure that the author didn’t trouble himself with my tape-measure considerations. A victim of his own high standards in this case, perhaps and emblematic of its subject. A genuinely superb fictionalised account of the inner monologue of Soviet composer Dmitri Shostakovich, written with deft turns of phrase (often derived from Russian sayings or folk wisdom), grim humour, a real insight into the psychology of terror in the USSR and a superb grasp of the bibliographic and historical record. I'm sure I will return to this book many times. Excellently performed in this audio book rendering too. Highly recommended. 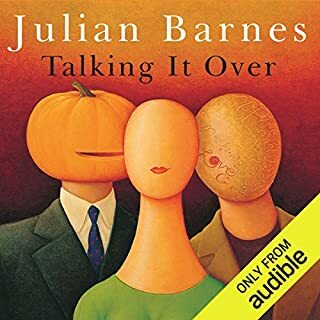 Although this isn't one of Barnes' most insightful or substantial contributions, it is (as with all the best works by this author) written with an admirable restraint and clarity, and with Barnes' typically subtle use of structure and repetition. It provides a humane depiction of the composer at three critical phases of his life and is well worth reading if you are a either Barnes or Shostakovich devotee. The reader's performance is also excellent, and perfectly serves Barnes' sensitive and controlled prose. Shostakovich. A name I recognised as a composer but that's about it. Yet this doesn't matter with Barnes. Just as in his wonderful Flaubert's Parrot, the man behind the artist is sketched and draws you in. I've since read Flaubert and will now listen to some Shostakovich. That's how good Julian Barnes and his stories are. Interesting listen. Learned what life was like in Soviet Russia for now well known composers such as Prokofiev, Rachmaninoff and Shostakovich; learned a little if the political climate there comparative to Western politics and art appreciation. I had no idea that these well known Soviet composers, indeed Soviet music and art, was totally state run and monitored. If you could sum up The Noise of Time in three words, what would they be? An important account of art's relationship to power. Focussed more on the period of the seige of Leningrad. Not if he reads foreign voices in such a stereotyped manner, though the narration is fine when it is close to Shostakovich. The Noise of Time doesn’t quite work as a novel but is still fascinating as an account of Dmitri Shostakovich’s very difficult, and potentially fatal, relationship with Stalin’s and then Krushchev’s USSR. 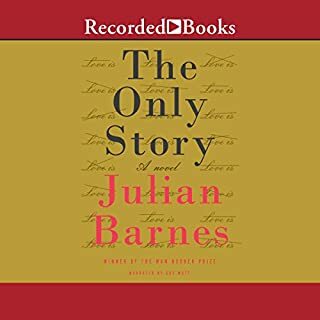 Although Julian Barnes deals with chronology in an absorbing way, covering the years between the 1920s and the 1960s, this novel is too driven by the desire to spell out those difficulties, notably, as Shostakovich puts it, “that it was impossible to tell the truth here and live.” Finishing a symphony in a minor rather than major key could lead to imprisonment and even execution if the State, and particularly its leader, took against you. However, Shostakovich’s voice is too uniform and analytical to attract much emotional attachment on the part of the reader -- it doesn’t help in the audio-version to have official voices read in a mock-Russian accent -- though the intermittent story it tells is dramatic, beginning, as it does, with Shostakovich waiting by the lift in his apartment block in Leningrad in 1937 for his expected arrest. Although this was the fate of an almost incalculable number of Soviet citizens, particularly in the years before and after the Moscow Trials, Barnes is drawn to the dilemmas and compromises of a world-famous musician, who is even obliged publically to criticize his hero, Stravinsky, and to compose populist works and avoid anything that hinted at the great political sin of formalism. Near the end of the novel, with Shostakovich reinstated but, in his own eyes and those of most critics outside the USSR, diminished, he comments on an ironic gap that he sought to retain between how he had to behave and compose and how he really felt. Even, here, though, he admits that irony can be corrosive for the ironist, who may resort to critical allusions in his music that, probably, no one else noticed. A great read on the difference of how the east revered its artists. And how difficult it would have been to allow a creative spirit to exist and flourish in such an environment. Very different from a world of Madonna and Elvis and frank Sinatra.